Otters, of which there are 13 species, are the most aquatic members of the Mustelidae family of mammals. Also included in this family, and therefore related to otters, are badgers and weasels. All mustelids, as otters and their relatives are known, are entirely or partially carnivorous. Most have long, svelte bodies, short legs, a small head and dense fur. Rear scent glands allow them to mark their territories. Mustelids occur naturally worldwide, except in Australia and Antarctica. Mustelidae is more commonly known as the weasel family. Weasels, along with ferrets, minks and stoats, make up the genus Mustela. Their long, slender physiques allow weasels to relentlessly pursue mice and other rodent prey in underground burrows. The most widely distributed species are the stoat and the least weasel, both of which are found in the boreal regions of North America, Europe and Asia. Stoats, also known as ermines, occur in Greenland, however, while least weasels do not. The latter weigh less than an ounce and are no more than 10 inches long, making them not only the smallest mustelids, but also the smallest extant carnivores. Of the eight species of badger in the Mustelidae family, only one, the American badger, occurs in the New World. Its range encompasses much of western North America, where it feeds almost exclusively on rodents. The other badgers are all Old World species with omnivorous diets. The honey badger, as its name suggests, has a sweet tooth; found in sub-Saharan Africa, across the Arabian Peninsula and throughout the Indian subcontinent, it is known for breaking into beehives to indulge in honey. Badgers are largely nocturnal and may spend much of the day in the underground burrows they dig with the aid of their large, powerful front claws. The Eurasian badger is one of the few mustelids that leads a social lifestyle. Like its fellow mustelids, the wolverine, the largest land-dwelling member of its clan with weights of up to 40 pounds, has the predatory prowess to match its insatiable appetite for meat. 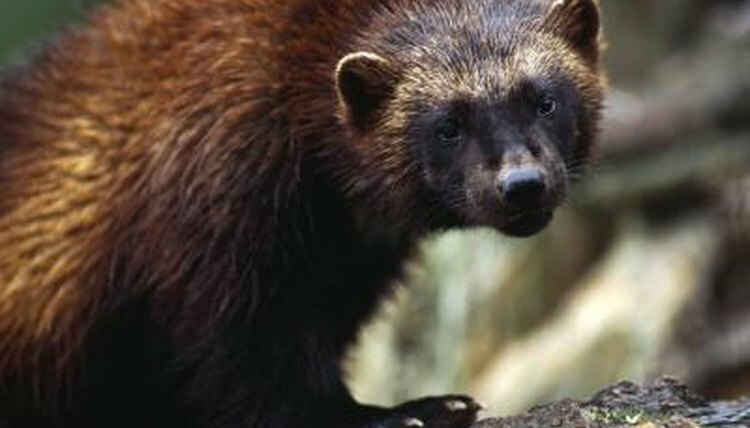 Found in the northern hemisphere, mainly in the taiga, tundra and boreal forests of Canada, Scandinavia and Russia, wolverines easily subdue rabbits and squirrels. They have also been known to attack feeble-looking caribou and, should they happen upon the carcass of a large animal, they will eagerly take advantage of an easy meal. The Mustelidae family also includes martens, of the genus Martes, found in Canada and the United States, as well as the Old World. Martens, the best known species of which are the American marten and the pine marten of Europe and Central Asia, live in forests and are largely arboreal. Grisons and tayras, who have overlapping ranges in Central and South America, are also included in the Mustelidae family.